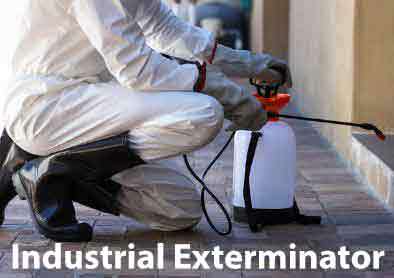 At Dependable Exterminating we provide Industrial Pest Control, Warehouse Pest Control, Farm Pest Control and many other Industrial Pest Control Solutions. We include precise reporting that stands up to third-party audits. Let us be your Pest Control Company, Give Us A Call Today. 1-844-305-8999. Dependable Exterminating Co., Inc. provides the highest quality service in the pest control and exterminating industry today. We offer Industrial Pest Control, Warehouse Pest Control, Farm Pest Control & other Industrial Buildings. Our company utilizes the latest equipment, products and treatment techniques available to solve just about any pest control problem your business might encounter. Our professional exterminators offer pest control services throughout the five boroughs of New York as well as Queens NY, Brooklyn NY, Bronx NY, Staten Island NY, Manhattan NY, Westchester County NY, Rockland County NY, Orange County NY, Northern New Jersey and all surrounding areas. 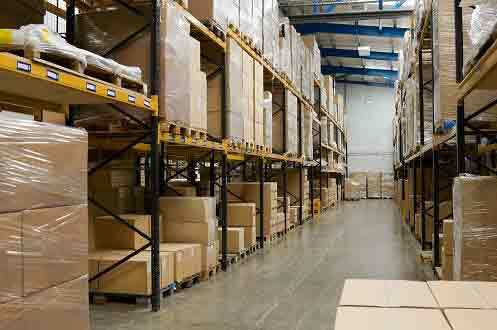 We will be happy to come inspect your Industrial Property and provide a pest control estimate. Termite Inspections and Termite Estimates are Free Of Charge. Bed Bug Inspections and requests for Termite Certification Inspections for Commercial Property sales or refinancing that requires a NPMA-33 Wood Destroying Insect (WDI) Report will incur an inspection fee. We will provide Rodent Control and Rodent Prevention inside and outside of your Industrial Space every week. This includes strategic placement of Rodent Bait Stations on the perimeter of your Industrial Building, Service Areas, Loading Docks and Basements. Our Pest Control Technician will evaluate rodent activity, implement exclusionary measures and add bait to stations where needed to keep your property Rodent Free. We will provide Rodent Control and Rodent Prevention inside and outside of your Industrial Space Every Two Weeks. This includes strategic placement of Rodent Bait Stations on the perimeter of your Industrial Building, Service Areas, Loading Docks and Basements. Our Pest Control Technician will evaluate rodent activity, implement exclusionary measures and add bait to stations where needed to keep your property Rodent Free. We will provide Rodent Control and Rodent Prevention inside and outside of your Industrial Space once a month. This includes strategic placement of Rodent Bait Stations on the perimeter of your Industrial Building, Service Areas, Loading Docks and Basements. Our Pest Control Technician will evaluate rodent activity, implement exclusionary measures and add bait to stations where needed to keep your property Rodent Free. We have a large selection of Rodent Bait Stations, each is designed to fit into your environment discreetly and look like they are a part your Industrial Complex. Give Us A Call Today, we will go over these plans in detail. 1-844-305-8999. - Professional, state certified technicians utilizing the most effective and up-to-date technologies to combat any pests. Our services are performed by reliable, highly trained and experienced professionals who work hard to protect your business! Service plans are customized to meet all our client’s needs. Our available plans include Monthly, Semi-Monthly, Weekly, Quarterly and One Time Services. Call now to find out which service plan best suits your food establishment. 1-844-305-8999.